Nate and Brooke Martin arrive at their summer cottage ready to relax and rekindle their relationship. The beach is warm, the water is cool, and the sea breeze is blissful—just another perfect summer in Hampstead, Michigan filled with wine, bonfires, and beach reading. Then, on a morning stroll along the beach, Nate finds something half-buried in the sand that turns their quiet vacation into a dangerous unraveling of the past. And the key to solving the mystery may lie within Abner Hutch, a retired Coast Guard Officer and Great Lakes master of the deep—a flawed man with a complicated past and a core wound that will not heal. As Nate and Hutch search for answers on a remote peninsula, they begin to realize what the mega-rich residents up the coast already know: you can only keep a secret for so long. And when some secrets get out…there is no turning back. Put on some sunscreen, unfold a beach chair, and get ready to dive into The Wreck. 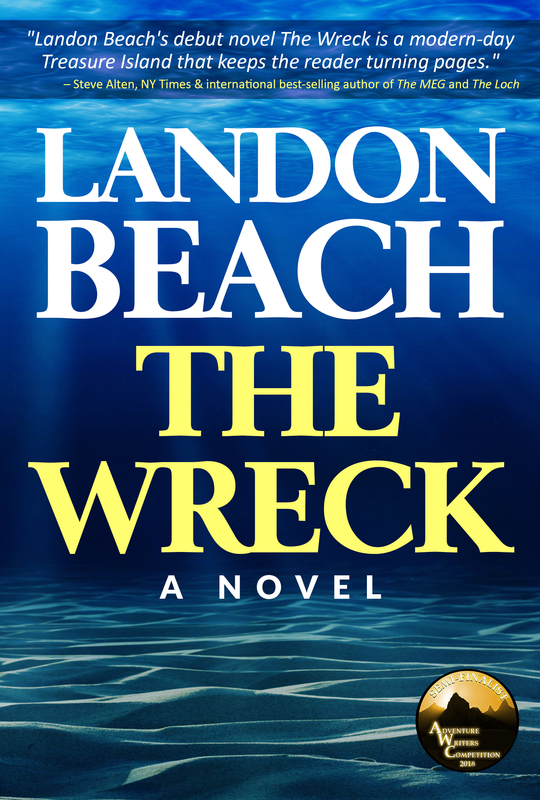 "Landon Beach's debut novel The Wreck is a modern-day Treasure Island that keeps the reader turning pages."